What are Prospects for Progress at New Talks? The world’s six major powers and Iran are due to hold the fourth round of talks in Kazakhstan on February 26. What has to happen to make these talks a success—even if it just means enough to hold a fifth round? Iran would need to announce a tangible reversal of its enrichment program for the talks to be a success. But, for those who believe like Churchill that “to jaw, jaw” is always better than “to war, war,” agreeing to a fifth round of talks would be good enough. How important is Iran in John Kerry’s first year as secretary of state—and why? Iran is certain to be a central issue on Secretary of State Kerry’s agenda. The United States is reaching the moment of truth--one way or another--on Iran’s pursuit of a nuclear weapons capability. Iran’s technological capacity is getting to a critical point. 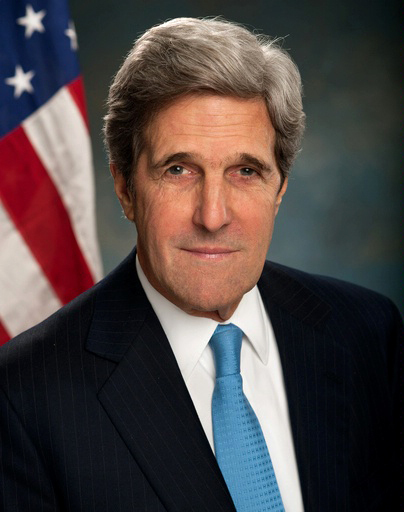 On the other hand, Kerry is likely to face a large number of burning crises when he takes office. The conflict in Syria will be a pressing one. There are serious security issues in Afghanistan and Pakistan as well. Tensions between North and South Korea could boil over. The territorial dispute between China and Japan could intensify. So Kerry’s hands will be more than full. But Iran will be high on his agenda. What factors might encourage a meaningful deal on the nuclear issue? The growing impact of economic sanctions is the main factor encouraging Iran to make a deal. The Iranians are clearly hurting as sanctions are causing serious distress. But the impact of sanctions may not be a deciding factor in Tehran’s final analysis. Iran has been under U.S. sanctions for three decades. It also survived high inflation and austerity during the 1980-1988 war with Iraq. Other countries have endured sanctions for long periods as well. Maybe the country will suffer so badly economically that the leadership has no choice but to cry uncle. Iran’s Central Bank reported that the annual inflation rate hit 27.4 percent at the end of 2012, one of the highest official levels ever reported in Iran. And the actual rate could be three or four times higher than the official figure. What are the obstacles to diplomacy for Iran? The main obstacle to diplomacy is Iran’s refusal to give up, in any meaningful way, the capacity to build a nuclear weapon. The “capacity” to build a weapon is the knowledge of how to make and assemble the disparate parts and to have all the raw material—which differs from actually building a weapon. The kinds of deals that would be acceptable to Washington and Jerusalem--and London, Paris and others--would include inspection regimes and safekeeping mechanisms. This monitoring would make it hard—if not impossible—for Iran to acquire the capacity to build a future weapon. Such deals would have no value for the Islamic Republic. The intentions of Supreme Leader Ayatollah Ali Khamenei or those around him are unknown. The U.S. intelligence community seems to have concluded that Tehran has not made the final decision to build a bomb. And I think there is serious reason to believe that they haven’t made a final irrevocable decision. But my estimate is the Iranians are unlikely to give up the capacity to produce a weapon in short order because they probably believe they need one. Almost any Iranian national security advisor would probably argue that a nuclear weapons capability is the only guarantor of independence and deterrence. Clearly Iran lives in a dangerous neighborhood, surrounded by many enemies prepared to act against it. So how could Iran prevent them from taking military action? The track record of the past decade is clear. If you have nuclear weapons, you have deterrence. Pakistan has them and, they deter India. Afghanistan and Iraq did not, and America invaded. Libya gave up its nuclear capability and was invaded. Arguments about whether or not Tehran is prepared to stop short of building or testing a bomb are intense and important. But the Iranians may decide that the only way to ensure their retention of that capacity is to build a bomb. What are the obstacles to diplomacy for the United States? In the end, war is too costly, unpredictable and dangerous to be a practical option. And diplomacy shows no signs of imminent success. So the real challenge is that Kerry and Obama face their own policy trap—and the absence of other alternatives. They have said that containing a nuclear Iran is not an option—and is off the table. So if diplomacy fails, war is the only alternative. That stark choice is a mistake. But there is a good chance that Kerry and Obama will bail themselves out of this trap by reopening the door to containment, although they would probably call it something else. Is there a framework of a viable deal emerging? The United States should make every effort to find a diplomatic solution, even if chances are slim. But I am pessimistic about a viable deal emerging. I think Iran wants to have a nuclear weapons capability, which is very understandable given events of the last decade in Iran’s part of the world. Countries that do not have a nuclear weapons capability get invaded by the United States and its allies—from Afghanistan to Iraq and Libya. Countries with the capability do not get invaded, most notably Pakistan but also North Korea. This strategic lesson has long been apparent to the Iranians. A nuclear weapon is the only real assurance of their independence and territorial integrity. The United States cannot escape the history of the last decade. All the well-meaning promises of statesman like John Kerry and Barack Obama are unlikely to convince the Iranians that they are better off in terms of their long-term security without a nuclear weapons capability. Bruce Riedel, a senior fellow at the Brookings Institution’s Saban Center, was special assistant to the president and senior director for Near East and South Asian Affairs at the National Security Council during the Clinton administration.